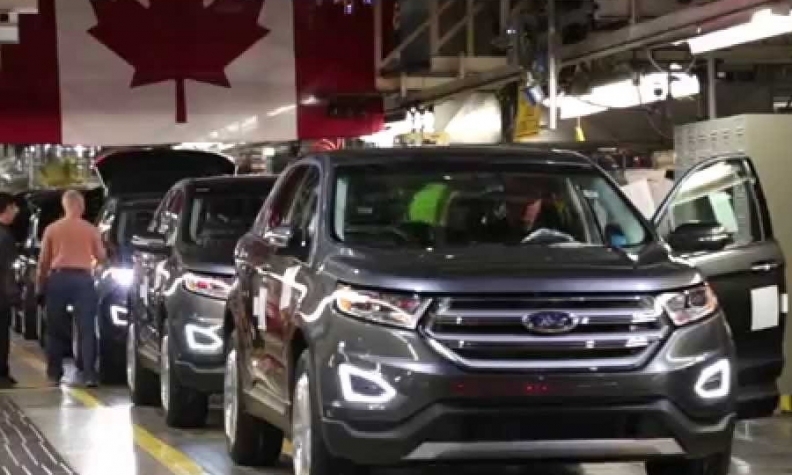 Auto exports drive Canada's trade surplus with U.S.
Shipments of new vehicles and auto parts helped lower Canada's trade deficit in April as the country’s surplus with the United States ballooned to its largest in three years, Statistics Canada said June 2. Total exports rose to a record high $47.7 billion, a gain of 1.8 per cent. Shipments of motor vehicles and parts were up 4.4 per cent to $8.1 billion, while exports of energy products increased to $8.8 billion, up 2.5 per cent. Canada’s trade surplus with the United States hit $5 billion for the month, up from $3.4 billion in March, at a time when the Canadian dollar slipped compared to the greenback, the federal agency said. The loonie was trading for about 74.5 cents US during March but fell to about 73 cents US by the end of April, according to the Bank of Canada records. The data could provide ammunition for U.S. President Donald Trump, who has pointed to what he says is America's trade imbalance with Canada as a rationale for sweeping changes to U.S. trade policies, including revamping NAFTA. However, the historical data released Friday by Statistics Canada runs counter to a recent forecast by another government agency, Export Development Canada. It said May 30 that Canadian automotive exports will stall in 2017 after increasing nine per cent last year. Daniel Benatuil, an economist who covers the auto industry for Export Development Canada, said shipments of vehicles and auto parts will dip by one per cent this year before advancing two per cent in 2018. Meanwhile, Canadian exports south of the border rose 5.4 per cent to a record high $36.1 billion in April. Imports from Canada's largest trading partner were up 1.1 per cent to $31.1 billion. Canada's trade deficit with all countries narrowed to $370 million, down from a revised shortfall of $936 million for March. Economists had expected a razor-thin deficit of $70 million, according to Thomson Reuters.